We believe you and your business can thrive in equal proportion. We know you’re not the average business owner. You’re a community builder, purpose-driven leader, and buck-stops-with-you entrepreneur who moves mountains every day. No one teaches you how to balance the dynamic responsibilities of these many roles. The intricacies of independent retail are so unique that you have to turn inward at every step to build your business. We help extraordinary retailers and makers learn the skills they didn’t know they need: the nitty-gritty processes and techniques that help you to nurture strategic growth. Without these tools, amazing entrepreneurs feel like they’re always trying to catch up or keep up. Our program harnesses the science of retail to give you the change you always wanted. 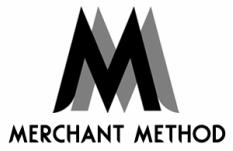 Instead of a set curriculum, our small business consultants adapt Merchant Method’s signature approach to your one-of-a-kind company and your distinct concerns. We make a big impact, like you, because we focus on meeting the needs of our customer — and your customer. CURIOUS? TAKE THE 60-SECOND QUIZ!